What would happen if a massive earthquake hit one of California's nuclear plants? California represents 13% of the US GDP, 12% of the population, and ranks number eighth in global economies. Seismic disasters are not a new phenomenon in the Golden State. Was anyone paying attention? Apparently not. The seismic risk map shows the danger of earthquakes for the state. 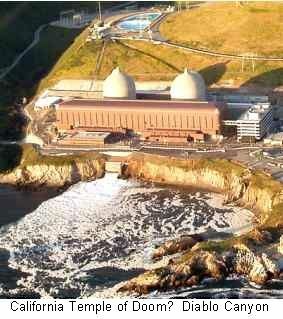 California's two nuclear power plants are located on or near major fault lines. The Diablo Canyon facility is of particular concern. Californians have been anywhere from upset to outraged at the Diablo Canyon nuclear facility from the start. More than two million people get electricity from the plant. Designed to withstand a 7.5 magnitude earthquake, there are reasons to be less than confident in this estimate. The plant operator, PG&E, completely misinterpreted blueprints in the initial construction of "certain crucial pipe supports in the reactors containment room." The misinterpretation involved constructing the pipe supports in a "mirror image" of the intended design. 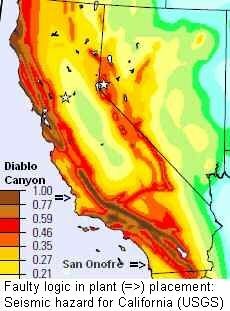 Diablo Canyon is just 2.5 miles from the Hosgri Fault, a major portion of the San Andreas Fault. Construction proceeded despite the discovery of this massive fault early on. Recently, PG&E executives diminished the importance of the Shoreline Fault less than an mile offshore from the nuclear plant. This fault was discovered in 2008. The Santa Barbara Independent reported that, "Nuclear Regulatory Commission (NRC) officials and PG&E executives have insisted there’s no cause for alarm; the plant, they maintain, is designed to withstand far more force than the new fault" will generate. "The prospect of such a calamity -- with two nuclear reactors operating above ground and pools of spent fuels so dangerous they have to be kept submerged in water at least five years before they can be moved to steel-reinforced concrete casks -- is the stuff of nightmarish disaster scenarios." Nick Welsh, Santa Barbara Independent. 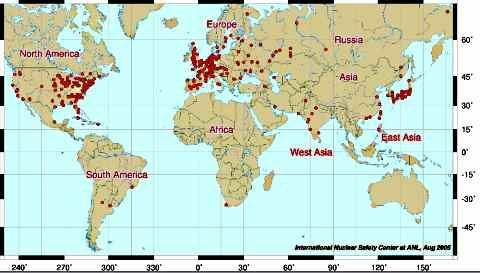 As meltdowns and nuclear disaster continue in Japan, we should anticipate the impact of similar disasters at one or several of those red dots from the interactive global map of nuclear facilities. Natural events, plant failures, and sabotage provide an array of scenarios that can cripple a region or entire nation. The potential of nuclear catastrophes is dismissed by energy company sponsored and nuclear friendly government reports claiming probable nuclear plant safety in the face of well-documented risks. 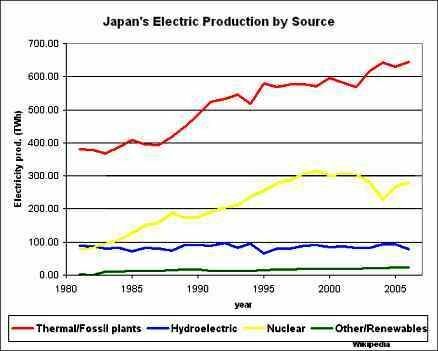 The nuclear firms and Japanese authorities vouched for the safety of Fukushima I. All of that was to no avail. Nevertheless, the administration's proposed energy solution, the American Power Act, contains provisions for nuclear industry bailouts which are central to future energy needs. The industry largesse will help achieve the act's goal of a 60% increase in power from nuclear reactors. Will someone please calculate the probability for - we are doomed. We are led by fools.